Georgia Highway 365- a highway racked with traffic accidents caused by dangerous stretches of hidden intersections and speeding drivers. The Gainesville community who live, work, and travel in the area have expressed concerns for some sort of change to the highway, according to the Gainesville Times. 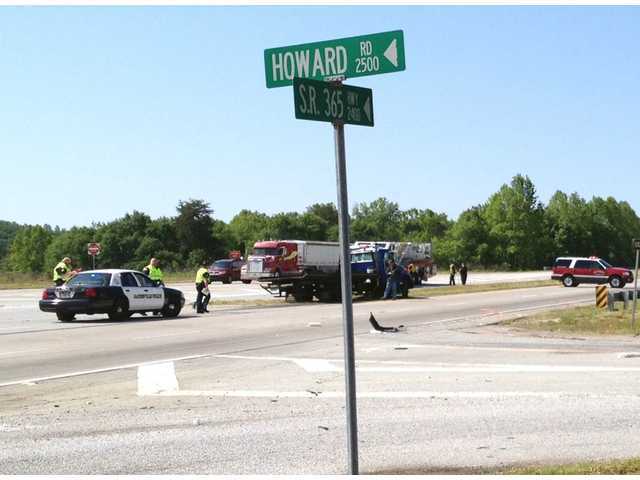 Earlier this week, a fatal crash happened at the intersection of Georgia 365 and Howard Road. The two-vehicle Gainesville crash occurred when a driver attempted to cross Georgia 365 and struck another vehicle that was traveling southbound on Georgia 365. The collision caused the second vehicle to flip several times and while the driver was only badly injured, the passenger of the vehicle died after being transported to a local hospital. There have been numerous accidents at that intersection and other intersections up and down Ga. 365. Such tragic accidents remind us how easily car crashes can happen. Some Gainesville locals are even encouraged to not use such dangerous intersections but to use alternate roads. The J.A. Walters Family YMCA encouragers its employees and patrons to avoid the dangerous GA. 365 / Howard Rd. intersection. The RaceTrac gas station located at the intersection supposedly even has hired a traffic engineering consultant to study the crossing and make possible safety suggestions. The Georgia Department of Transportation (GDOT) has invested into some changes for the intersections along Ga. 365 north or where Interstate 985 ends. The reduction of lanes, the installation of flashing yellow beacon lights, and other proposals are being worked through the department currently. With all hopes, these types of precautions and safety measures will curb the number of Gainesville car accidents that happen on the Georgia highway. If you or someone you love has been in a recent Gainesville accident, Kalka & Baer might be able to help you. As a leading Georgia personal injury law firm, Kalka & Baer helps accident victims settle their claims after an accident. Our lawyers will work tirelessly to help you face the insurance companies after your car accident. Contact Kalka & Baer today for a free, no obligation consultation regarding your Gainesville accident.